HOW WILL YOU DO PHILLY? 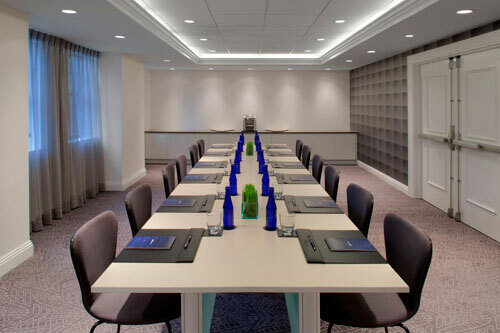 The perfect blend of yesterday and today, Warwick Rittenhouse features sleek décor and furnishings, vibrant colors, and modern technology in a historic building. Ideally located within the iconic Rittenhouse Square, Warwick has been hosting distinguished guests, celebrities, sports stars, and dignitaries since 1928. The last of the original three “Grande Dame hotels” in Philadelphia, Warwick celebrates its legacy with a deliberate modern design that was inspired by our unique heritage. A fixture in Rittenhouse Square, we are a destination for travelers from all over the world seeking culture, business, or recreation in Philadelphia. Immerse yourself within our historic walls and feel the echoes of famous musicians, celebrities, politicians, and sports stars who have called Warwick home during their travels to Philadelphia. If you would like to learn more about Warwick’s legendary history, please speak to one of our well-informed front desk team members. Experts on the hotels’ unique legacy, they are always happy to share an interesting anecdote, story, or fact. 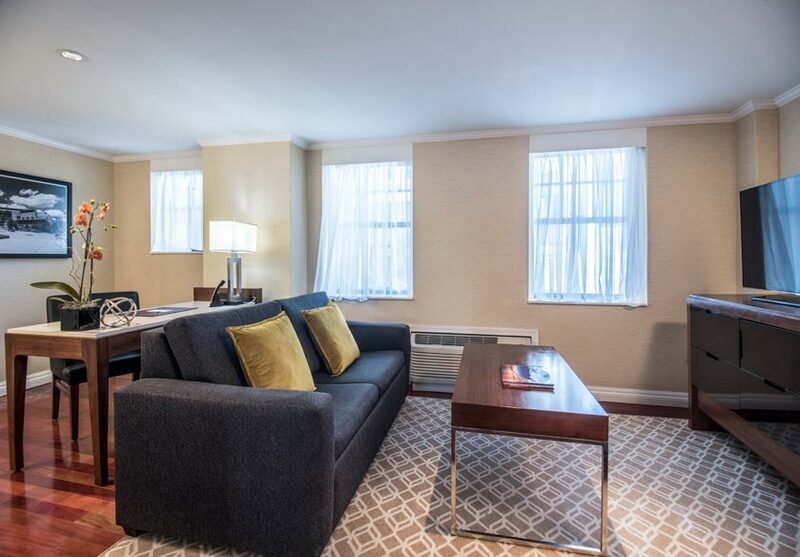 Experience your stay in one of our Philadelphia Suites and enjoy deluxe amenities like complimentary WiFi, a large flat screen TV, and mini-refrigerator. 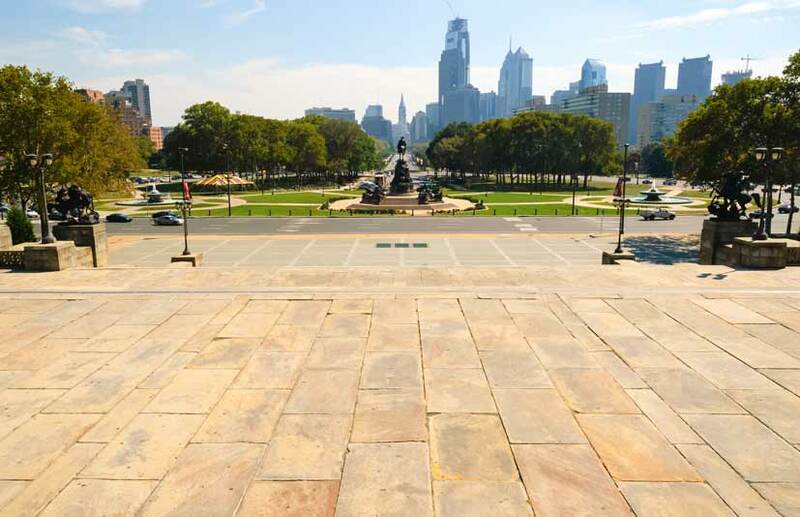 Our ideal location in Rittenhouse Square places you in one of Philadelphia’s most iconic and coveted neighborhoods. Enjoy a short stroll to the city’s finest dining, nightlife, and cultural attractions. 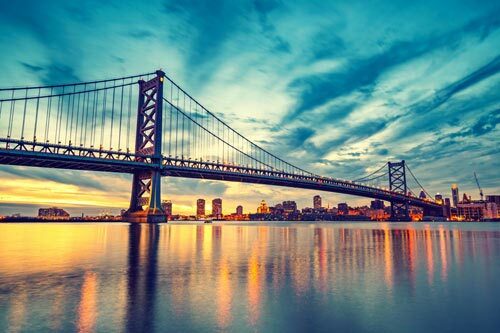 Explore the best of Philadelphia and walk to Broad Street’s Avenue of the Arts, Philadelphia Convention Center, Independence Hall, and the Liberty Bell. World-class shopping, fine dining, and entertainment are just a block away along world renowned Walnut Street, the epicenter of Philadelphia. 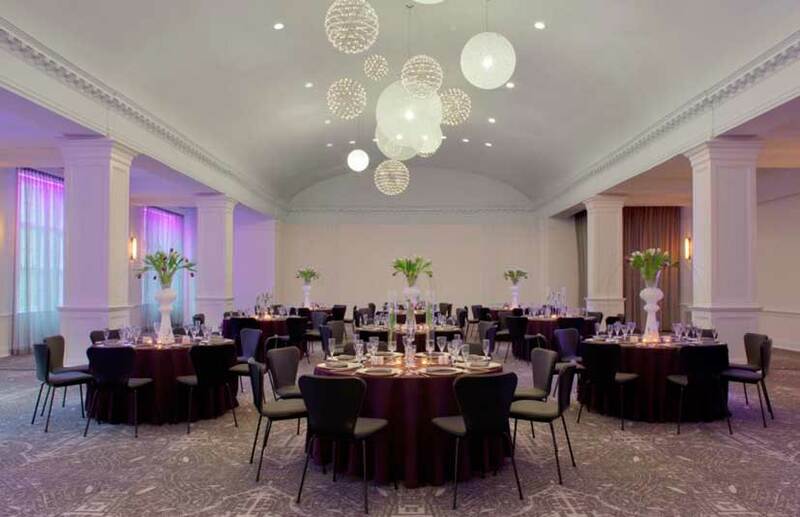 Rich in class and elegance, our two historic ballrooms are unlike anything else. Home to some of the most legendary galas and celebrations in Philadelphia, the Warwick has been a fixture for world-class events for 90 years. 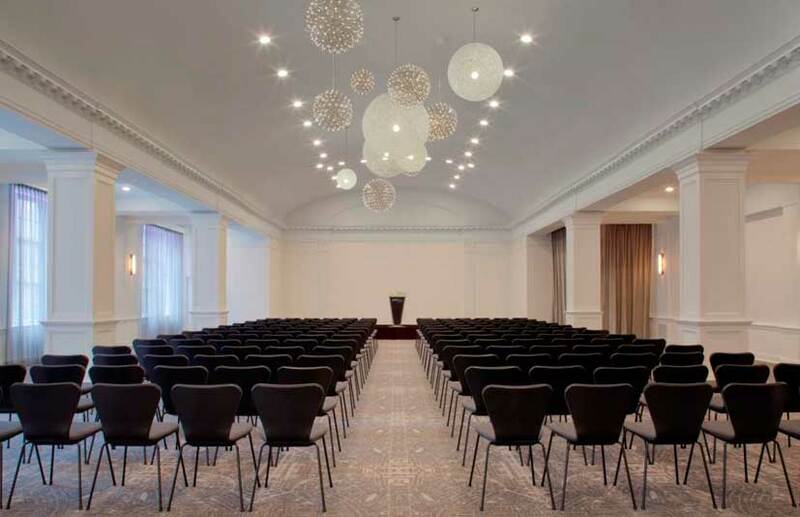 Our historic ballrooms are certain to elevate any occasion or meeting. Celebrate in stunning style where celebrities and distinguished luminaries gathered and enjoy dramatic soaring ceilings, stunning windows offering plenty of natural lights, and expansive space for up to 400 guests. The Warwick made history as the birth-place of “Shrimp Lamaze,” a unique take on the shrimp salad, and today we continue to add to our culinary legacy. Start your day at Bluestone Lane Café and enjoy a gourmet coffee and delicious snack. 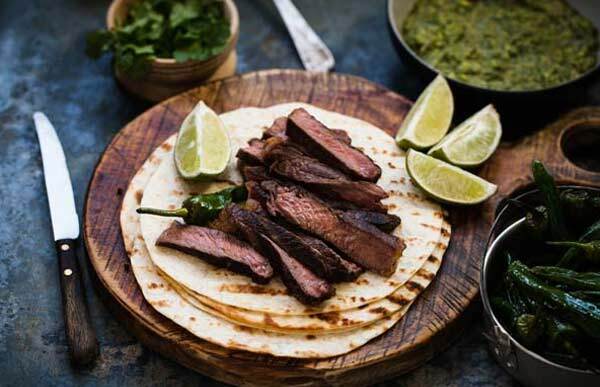 Bluestone Lane Café serves a variety of healthy options and is open for breakfast and lunch. For an upscale dinner, nothing beats The Prime Rib, a Philadelphia icon featuring a retro 40’s-inspired atmosphere and a classic steak, seafood, and cocktail menu.